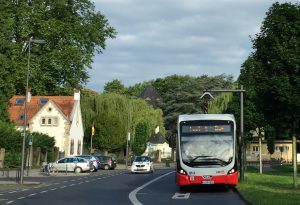 [COP23] Low Carbon Transport: G20 on Track? GIZ kicks off its transport-focused events at COP23 in collaboration with the German Think Tank, Agora Verkehrsende, and the question: What is the level of ambition regarding mitigation of G20 countries in the transport sector? 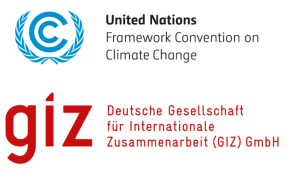 GIZ is organising the one-day event, From Ambition to Action: Decarbonising Transport, to engage with the international community over the question of how to develop zero-emission transport systems to achieve the objectives of the Paris Agreement. The event will bring together German and international stakeholders in the context of sustainable transport to engage on pathways for decarbonising the transport sector. It will discuss feasible pathways for emerging economies and developing countries and Germany’s ambitions in decarbonising transport. Aiming at mutual learning, it will elaborate with international stakeholders how to implement more ambitious climate actions in the transport sector, including climate-resilient transport infrastructure. Last but not least, the event will debate with international donors how to unlock more investments into climate-friendly transport solutions. We would like to invite you to join us on 14 November at the German Pavilion of COP23 for discussing the linkages of local governments, NDC implementation and the SDGs within the urban transport sector. The first part of the event will focus on the challenges and potentials of taking action on urban mobility on local, national and global levels. The second part of the event will present three initiatives, which are geared to bring action to the ground. 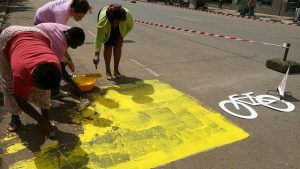 It will focus on specific action strategies – utilising examples from MobiliseYourCity (MYC), the Transformative Urban Mobility Initiative (TUMI) and Reverse Innovation: The vision for tomorrow’s cities. 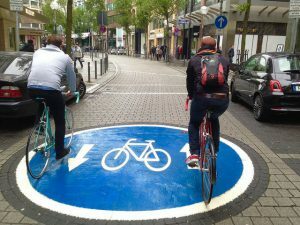 Air pollution, noise and a lack of space – German municipalities are looking for ways to make traffic more sustainable. 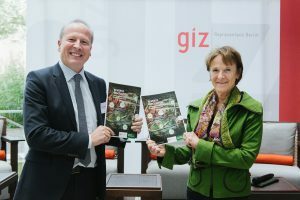 GIZ and the Umweltbundesamt (UBA) have therefore collected inspiring sustainable mobility innovations from emerging and developing countries for the joint brochure “Reverse Innovation – Rethinking Urban Transport Through Global Learning”. In the context of the European Mobility Week on 18 September 2017, high-level representatives from the Federal Environment Agency the GIZ Management Board officially launched the brochure. More than 100 guests from different federal ministries, research facilities and various representatives from the private sector participated in the event. The new brochure presents 10 innovations from emerging and developing countries that provide inspirations for sustainable mobility in Germany. One example presented at the event was by the founder of Raye7, an urban carpooling app that matches trips of users who belong to predetermined social communities such as co-workers or friends. The payment model is a cashless pointing based system: drivers earn points for every shared ride. 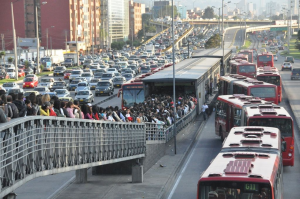 The Project manager in the Sustainable Transport GIZ project in Beijing elaborated on the “electric bus boom’ in China. Due to political will, large-scale pilot projects and copious funding programmes, more than 100,000 electric buses are implemented by now. Another innovation was presented the Co-Founder of the urban safety app SafetiPin from India. This mobile application and at the same time an online platform, provides safety information on public places that include a safety scoring of public spaces, a GPS tracking function for users, and a safe route planning option. The event showed that digital innovations in the urban transport sector are increasingly gaining momentum – “we need to explore new mechanisms to learn from fast developing cities and use this knowledge to identify new urban mobility solutions for German cities” concluded Christoph Beier. The event was supported by the Federal Ministry for the Environment, Nature Conservation and Nuclear Safety (BMU) and the Federal Ministry for Economic Cooperation and Development (BMZ) through the project Advancing Transport Climate Strategies and the Sustainable Mobility (Policy Advisory Service). 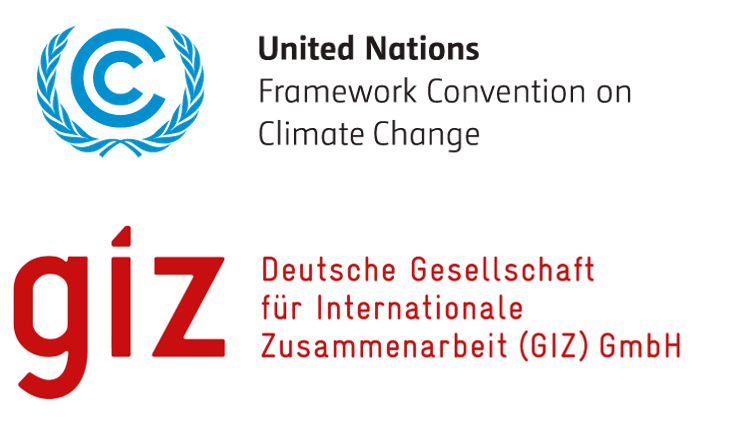 We are pleased to invite you to participate in a joint webinar series of the UNFCCC Secretariat and GIZ on Methodologies for GHG Baselines and Monitoring in the Transport Sector. The series comprises eight webinars and is based on the chapters of the UNFCCC Secretariat’s Passenger and Freight Transport Volume of the Compendium on GHG Baselines and Monitoring. We’ll kick-start the series on 5 October 2017 at 2pm (UTC+2) German time with the first webinar on National Fuel Economy Standards. REPRESENTATIVES from the International Council on Clean Transportation (ICCT) will introduce a methodology and newly developed Excel tool (FESET) for setting GHG baselines and monitoring emission reductions from the introduction of fuel economy standards. In the last 30 minutes of the webinar, there will be time for questions and answers. The webinar addresses primarily government agencies, consultants, think tanks and international cooperation organisations that want to calculate emissions reductions from fuel economy standards. On 09 May 2017, during the UNFCCC´s 46th session of the Subsidiary Bodies in Bonn, the publication of the Passenger and Freight Transport Volume of the UNFCCC’s Compendium on GHG Baselines and Monitoring was officially launched. The Transport Volume is a multi-stakeholder effort to provide a resource map of methodologies and tools for establishing baselines and monitoring emissions reductions from mitigation actions.It covers more than 30 methodologies and tools, which are structured into eight different mitigation action types. The transport volume was coordinated by the Deutsche Gesellschaft für Internationale Zusammenarbeit (GIZ) in cooperation with the UNFCCC Secretariat and the Partnership on Sustainable Low Carbon Transport (SloCaT) and funded through the International Climate Initiative of the German Federal Ministry for Environment, Nature Conservation and Nuclear Safety BMU. It was written with the assistance of the Center for Clean Air Policy with contributions from the International Council on Clean Transportation (ICCT) and INFRAS. Our dialogue event “Reverse Innovation: Rethinking Urban Transport through Global Learning” is coming closer: On the 18th of September the German Environment Agency (UBA) and the Deutsche Gesellschaft für Internationale Zusammenarbeit (GIZ) are jointly hosting the international event. In the context of the European Mobility Week (September 18th to 22nd 2017) the event aims at discussing innovative urban mobility developments from developing and emerging countries and their potential application for German cities. 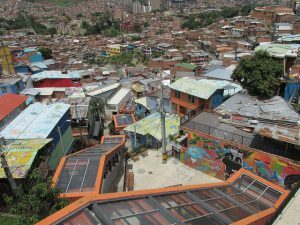 Thus, we offer a forum for exchange between cities, institutions and companies. You can expect interesting presentations i.a. from Egypt (Founder of Carpooling App Raye7), from Indonesia (SVP Business Intelligence of Go-Jek) and from India (Co-Founder SafetiPin App). More information on the agenda and the venue find here. 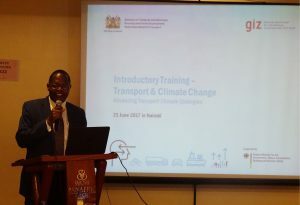 The Kenyan State Department of Transport (SDoT) together with the Advancing Transport Climate Strategies (TraCS) project implemented by the Deutsche Gesellschaft für Internationale Zusammenarbeit (GIZ) were jointly hosting a training workshop in order to meet the increasing need for improved sectoral coordination, huge data gaps that need filling and in-depth trainings on GHG data analysis for the Kenyan transport sector. The workshop took place on 21 June 2017 in Nairobi, Kenya, and provided participants from different state agencies under the Ministry of Transport, Infrastructure, Housing and Urban Development (MoTIHUD) with a deeper understanding of the basic relationships between climate change and transport, the differences between GHG emissions and local air pollution, and the basics of GHG calculations in the transport sector. Discussion focused on data availability and storage, as well as existing data sharing arrangements. 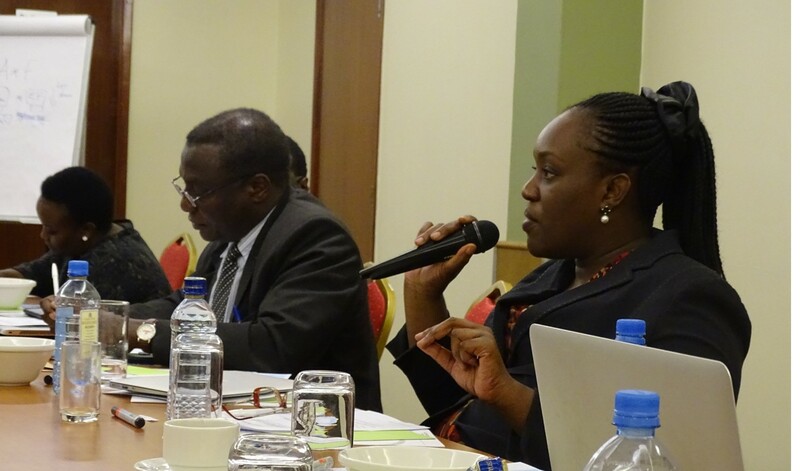 Several participants including representatives from agencies such as the Kenya Railways and the Kenya Airports Authority indicated to being in the possession of well disaggregated data within their agencies. Other agencies as the National Transport and Safety Authority (NTSA), responsible for vehicle registration, inspection and maintenance, stressed to be working on expanding their reach and improving their systems. The participants also acknowledged the significance of the TraCS project describing it as a useful sectoral initiative that – if successful – can provide guidance for other sectors to follow suit. 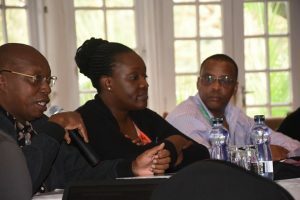 This training was the first to be held as part of the jointly developed work plan (April 2017) between the TraCS project and the State Department for Transport in Kenya. Activities identified were being implemented within the framework of the Kenyan National Climate Change Action Plan (NCCAP), the Nationally Determined Contributions (NDCs), as well as the Climate Change ACT 2016 which form the backbone of Kenya’s transition into a low carbon climate resilient nation.